For other uses, see Don't You Want Me (disambiguation). (1981) "Don't You Want Me"
"Don't You Want Me" is a single by British synthpop group The Human League, released on 27 November 1981 as the fourth single from their third studio album Dare (1981). It is the band's best known and most commercially successful recording and was the 1981 Christmas number one in the UK, where it has since sold over 1,560,000 copies, making it the 23rd most successful single in UK Singles Chart history. It later topped the Billboard Hot 100 in the US on 3 July 1982 where it stayed for three weeks. In 2015, the song was voted by the British public as the nation's 7th favourite 1980s number one in a poll for ITV. The lyrics were originally inspired after lead singer Philip Oakey read a photo-story in a teen-girl's magazine. Originally conceived and recorded in the studio as a male solo, Oakey was inspired by the film A Star Is Born and decided to turn the song into a conflicting duet with one of the band's two teenage female vocalists. Susan Ann Sulley was then asked to take on the role. Up until then, she and the other female vocalist Joanne Catherall had only been assigned backing vocals; Sulley says she was chosen only through "luck of the draw". Musicians Jo Callis and Philip Adrian Wright created a synthesizer score to accompany the lyrics which was much harsher than the version that was actually released. Initial versions of the song were recorded but Virgin Records-appointed producer Martin Rushent was unhappy with them. He and Callis remixed the track, giving it a softer, and in Oakey's opinion, "poppy" sound. Oakey hated the new version and thought it would be the weakest track on Dare, resulting in one of his infamous rows with Rushent. Oakey disliked it so much that it was relegated to the last track on side two of the (then) vinyl album. Before the release of Dare, three of its tracks—"The Sound of the Crowd", "Love Action (I Believe in Love)", and "Open Your Heart"—had already been released as successful singles. With a hit album and three hit singles in a row, Virgin's chief executive Simon Draper decided to release one more single from the album before the end of 1981. His choice, "Don't You Want Me", instantly caused a row with Oakey who did not want another single to be released because he was convinced that "the public were now sick of hearing The Human League" and the choice of the "poor quality filler track" would almost certainly be a disaster, wrecking the group's new-found popularity. Virgin were adamant that a fourth single would be released and Oakey finally agreed on the condition that a large colour poster accompany the 7" single, because he felt fans would "feel ripped off" by the 'substandard' single alone. The Human League often added cryptic references to their productions and the record sleeve of "Don't You Want Me" featured the suffix of "100". This was a reference to The 100 Club, a restaurant/bar in Sheffield. Today, the song is widely considered a classic of its era. In a retrospective review, Stephen Thomas Erlewine, senior editor for AllMusic, described the song as "a devastating chronicle of a frayed romance wrapped in the greatest pop hooks and production of its year." Oakey still describes it as over-rated, but acknowledges his initial dismissal was misguided and claims pride in the track. Oakey is also at pains to point out another misconception: that it is not a love song, but "a nasty song about sexual power politics". "Don't You Want Me" was released in the UK on 27 November 1981. The B side was "Seconds" another track lifted straight from the Dare album. Like previous singles, a 12" version was also issued featuring the original version of "Don't You Want Me" and "Seconds" on the A side and an "extended dance mix" lasting seven and a half minutes on the B side. This mix is also features on the Love and Dancing album released under the name of The League Unlimited Orchestra in 1982. To the amazement of the band (and especially Oakey), it entered the UK Singles Chart at No.9 and shot to number one the following week, remaining there over the Christmas period for a total of five weeks. It ultimately became the biggest selling single to be released in 1981, and the fifth biggest selling single of the entire decade. Its success was repeated six months later in the US, with "Don't You Want Me" hitting No. 1 on the Billboard Hot 100 for three weeks. Billboard magazine ranked it as the sixth-biggest hit of 1982. The single was certified Gold by the RIAA the same year for sales of a million copies. It is notable as the first song featuring the revolutionary Linn LM-1 drum machine to hit No. 1 on the UK charts and also the first LM-1 track to top the Billboard Hot 100. The song was re-released in October 1995 as CD, cassette and 12" single featuring new remixes by Snap! and Red Jerry, peaking at No. 16 on the UK chart. The release coincided with the issue of the group's second "Greatest Hits" compilation album shortly afterwards, which featured the Snap 7" remix. As of November 2012, "Don't You Want Me" is the 23rd best-selling single in the UK with 1.55 million copies sold. On 23 March 2014 the song re-entered the UK Singles Chart at number 19 and debuted at number 1 in the Scottish singles charts thanks to a social media campaign by fans of Aberdeen Football Club. Susan Ann Sulley in the 1981 "Don't You Want Me" video, December 1981. In 1981, record company Virgin were becoming aware that the promotional music video was evolving into an important marketing tool, with MTV being launched that year. Because it was agreed[by whom?] that the video for Open Your Heart had looked "cheap and nasty", Virgin commissioned a much more elaborate and expensive promotional video for "Don't You Want Me". The video for the song was filmed near Slough, Berkshire, during November 1981 and has the theme of the filming and editing of a murder-mystery film, featuring the band members as characters and production staff. Due to it being a "making of" video, both crew and camera apparatus appear throughout. It was conceived and directed by filmmaker Steve Barron, and has at its core the interaction between a successful actress (also a 2nd negative cutter) played by Susan Ann Sulley walking out on "film director" Philip Oakey on a film set. It is loosely based on the film A Star Is Born. Near the end of the video, Wright, who also plays a film editor, has an expression on his face, while the camera pulls back to reveal that the negative room where Oakey, Wright, and Sulley were working in is yet another set (the camera can be seen in the mirror's reflection). Filmed on a cold, wet, winter night, it was shot on 35mm film instead of the cheaper video tape prevalent at the time. Susan Sulley claims that Steve Barron was heavily influenced by the cinematography of Ultravox's video for "Vienna" (directed by Russell Mulcahy earlier that year). Steve Barron was also influenced by François Truffaut and his film Day for Night, and because of that the clapper board seen in the video bears the inscription "Le League Humaine" as a tribute to Truffaut. The video is credited[by whom?] for making Oakey, Sulley and Catherall visual icons of the early 1980s but became controversial later for a scene involving the murder-mystery film subplot where Jo Callis appears to shoot Catherall (and later in the video repeated with Oakey shooting Sulley) with a pistol from a car window (a Saab 99 turbo). The scene is cut out of the DVD version and usually on music television, replaced with a montage of other shots from the video edited in slow-motion. The other car that was used in the video is a gold W-Reg Rover SD1. In a 1995 interview, Catherall mentioned that the car Callis was driving had to be pushed into shot as he couldn't drive at the time, to which Sulley added "he still can't!" The video was released in December 1981. A campaign was started by Aberdeen F.C. fans in March 2014 to get the song to number one on the UK Singles Chart after their Scottish League Cup final victory against Inverness CT. The song peaked at No. 4 in the iTunes Download chart on 19 March 2014. The following Sunday, 23 March, the song re-entered at number nineteen on the UK Singles Chart. A Foster Farms commercial in the United States features a choir of animatronic chickens singing the song as part of the poultry producer's "Amazing Chicken" campaign. The Human League's version appears in a 2018 ad for Walmart. "Don't You Want Me Baby"
"If It Makes You Feel Good"
(1988) "Don't You Want Me Baby"
(1989) "I Just Can't Wait (92' Remixes)"
In 1989 English pop singer Mandy covered this song under the title of "Don't You Want Me Baby". Released as a standalone single after her only album Mandy, it was also Smith's final single and became her only single to hit the UK top 75, peaking at #59. The B-side, "If It Makes You Feel Good", featured on the album. The song was included as a bonus track on the 2009 reissue of her album. (1992) "Don't You Want Me"
(1992) "Love See No Colour" (re-mix)"
British band The Farm released a cover of The Human League version of Don't You Want Me in October 1992 which got to no. 18 in the UK charts, making it their third most successful single after 1990's All Together Now and Groovy Train. An uncredited female singer features as lead vocal on the second verse, as sung by Susanne Sulley on the original version. (2001) "Don't You Want Me"
(2002) "Not a Sinner Nor a Saint"
"Don't You Want Me" is a Eurodance song performed by Swedish band Alcazar and released internationally in 2002. The song was included to the European version of Casino together with a few other, and was recorded in Stockholm at first, but when they wanted it for a new pan-European single, a whole new version was made. The single was released in Australia as a follow up to the successful single "Crying at the Discoteque" and the release includes the "Ivan's X Mix" of CATD as a bonus. The white 12 inch was released in Europe and distributed to DJs to get maximum airplay at the disco arenas. So far "Don't You Want Me" is the biggest hit for the group in United States, climbing to No. 30 on the Billboard Hot 100 chart and staying on the chart for 15 weeks. The video was filmed at Filmhuset in Stockholm, and once again Jesper Ganslandt directed it all. As always in Alcazar videos the storyline takes place in "Alcazar world" – and this time it all took place in "Circus Alcazar". The video is filled with horses, ducks, an evil parrot, acrobats and the Alcazar ballet. The whole video shoot took almost 23 hours, and actually includes Annikafiore's boyfriend juggling with fire in the background The Alcazar dog Selma was styled in a pink ballerina dress and waited the whole day for the filming of her scene where she would perform jumps in the circus arena. These are the formats and track listings of promotional single releases of "Don't You Want Me". A cover of the song was released on 5 October 1992, and it was the last successful single by Liverpool-based pop group The Farm, reaching No. 18 in the UK Singles Chart in late 1992. It was originally recorded for the NME charity album Ruby Trax. Stephin Merritt project Future Bible Heroes recorded a cover of "Don't You Want Me" which is featured on Reproductions: Songs of The Human League. EBM artist Leæther Strip covered the song on his 2009 Yes, I'm Limited Vol. IV EP. A cover of the song was recorded by Atomic Tom for the soundtrack of the 2011 Michael Dowse film Take Me Home Tonight. The music video featured members of the film's cast. American singer-songwriter Rocky Votolato and New York-based band Matt Pond PA performed a version of the song in May 2011 for The A.V. Club's A.V. Undercover series. A cover of this song appears on the album Picture Show (2012) by Neon Trees. Information Society recorded a cover on the album Orders of Magnitude (2016). ^ a b c Lane, Daniel (27 June 2013). "Daft Punk's Get Lucky becomes one of the UK's biggest selling singles of all-time!". Official Charts Company. Retrieved 19 March 2019. ^ "Human League Biography". League-online.com. Archived from the original on 9 August 2007. Retrieved 18 September 2010. ^ Stephen Thomas Erlewine. "Dare! – The Human League | Songs, Reviews, Credits, Awards". AllMusic. Retrieved 29 March 2014. ^ "Rolling Stone 1983". Rolling Stone. Retrieved 21 February 2011. ^ a b "The Human League's Don't You Want Me tops Official Scottish Singles Ch". Officialcharts.com. 23 March 2014. Retrieved 29 March 2014. ^ a b "Forum – ARIA Charts: Special Occasion Charts – Top 100 End of Year AMR Charts – 1980s". Australian-charts.com. Hung Medien. Archived from the original on 6 October 2014. Retrieved 29 June 2016. ^ "Ultratop.be – The Human League – Don't You Want Me" (in Dutch). Ultratop 50. Retrieved 14 April 2013. ^ "Results – RPM – Library and Archives Canada". Collectionscanada.gc.ca. Archived from the original on 26 September 2015. Retrieved 23 June 2012. ^ "Nederlandse Top 40 – The Human League" (in Dutch). Dutch Top 40. Retrieved 14 April 2013. ^ "InfoDisc : Tout les Titres par Artiste" (in French). Infodisc.fr. 23 June 2012. Archived from the original on 20 September 2013. Retrieved 23 June 2012. ^ "The Irish Charts – Search charts". Irish Recorded Music Association. 2008. To use, type "Don't You Want Me" in the "Search by Song Title" search bar and click search. Archived from the original on 3 June 2009. Retrieved 12 April 2013. ^ "Hit Parade Italia – Indice per Interprete: H". Hitparadeitalia.it. Retrieved 23 June 2012. ^ "Charts.nz – The Human League – Don't You Want Me". Top 40 Singles. Retrieved 14 April 2013. ^ "Norwegiancharts.com – The Human League – Don't You Want Me". VG-lista. Retrieved 14 April 2013. ^ Brian Currin. 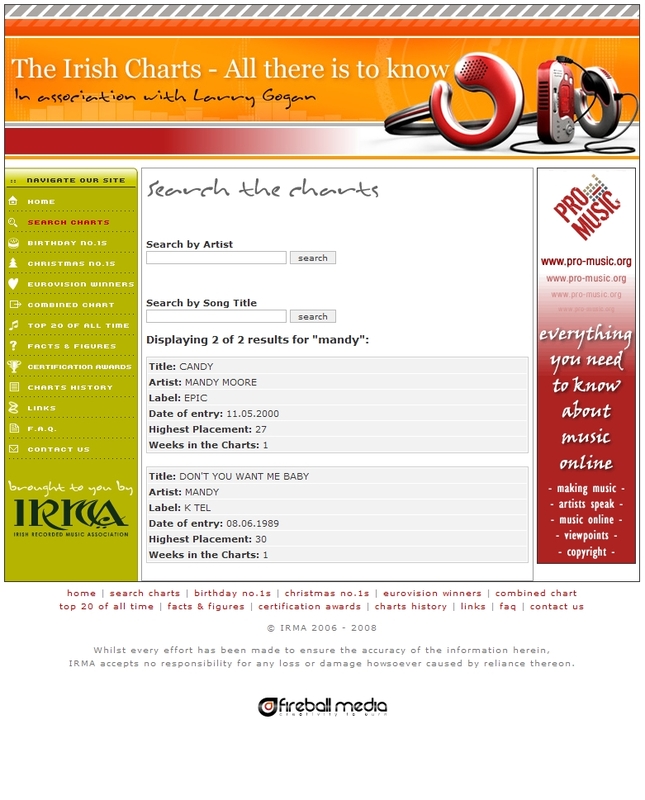 "South African Rock Lists Website – SA Charts 1969 – 1989 Acts (H)". Rock.co.za. Retrieved 23 June 2012. ^ "Spanishcharts.com – The Human League – Don't You Want Me" Canciones Top 50. Retrieved 14 April 2013. ^ "Swedishcharts.com – The Human League – Don't You Want Me". Singles Top 100. Retrieved 14 April 2013. ^ "Swisscharts.com – The Human League – Don't You Want Me". Swiss Singles Chart. Retrieved 14 April 2013. ^ "Official Singles Chart Top 100". Official Charts Company. Retrieved 14 April 2013. ^ "The Human League – Chart history". Billboard. Retrieved 29 March 2014. ^ a b The Human League. "The Human League – Awards". AllMusic. Retrieved 23 June 2012. ^ "Offiziellecharts.de – The Human League – Don't You Want Me". GfK Entertainment Charts. Retrieved 18 February 2019. ^ "Official Charts > Human League". The Official UK Charts Company. Retrieved 27 October 2016. ^ "Official Charts > Official Singles Chart Top 100: 23 March 2014 – 29 March 2014". The Official UK Charts Company. Retrieved 27 October 2016. ^ "Item Display - RPM - Library and Archives Canada". collectionscanada.gc.ca. Archived from the original on 11 August 2016. Retrieved 27 April 2017. ^ "Top 100-Jaaroverzicht van 1982". Top40.nl. ^ "Top Selling Singles of 1982 - The Official New Zealand Music Chart". Recorded Music NZ. Retrieved 29 June 2016. ^ "Top 100 Hits of 1982/Top 100 Songs of 1982". www.musicoutfitters.com. ^ "Canadian single certifications – Human League – Don't You Want Me". Music Canada. Retrieved 9 April 2012. ^ "British single certifications – Human League – Don't You Want Me". British Phonographic Industry. Retrieved 9 April 2012. Select singles in the Format field. Select Platinum in the Certification field. Type Don't You Want Me in the "Search BPI Awards" field and then press Enter. ^ "American single certifications – Human League – Don't You Want Me". Recording Industry Association of America. Retrieved 2 June 2015. If necessary, click Advanced, then click Format, then select Single, then click SEARCH. ^ "Don't You Want Me by The Human League song facts". songfacts.com. Retrieved 29 December 2013. ^ "Aberdeen fans set to put Human League single in official top 10". BBC News. Retrieved 21 March 2014. ^ "Aberdeen fans score Human League hit". BBC News. Retrieved 21 March 2014. ^ "The Human League's Don't You Want Me tops Official Scottish Singles Chart". Official Charts Company. Retrieved 2 January 2015. ^ "Foster Farms' Harmonic Choir of 'Amazing Chickens'". Little Black Book. Retrieved 19 January 2016. ^ "Walmart TV Commercial, 'Unwanted Dog Toy' Song By The Human League". ispot.tv. Retrieved 7 October 2018. ^ "Official Charts > Mandy Smith". The Official UK Charts Company. Retrieved 27 October 2016. ^ "The Irish Charts – All there is to know > Search results for 'Mandy' (from irishcharts.ie)". Imgur.com (original source published by Fireball Media). Retrieved 27 October 2016. ^ "Hit Parade Italia > Indice per Interprete: S" (in Italian). HitParadeItalia. Retrieved 27 October 2016. ^ Steffen Hung. 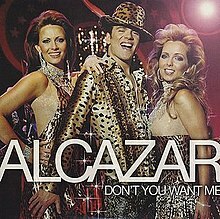 "Alcazar – Don't You Want Me". australian-charts.com. Retrieved 18 September 2010. ^ "Alcazar – Don't You Want Me". ultratop.be. Retrieved 18 September 2010. ^ Steffen Hung. "Alcazar – Don't You Want Me". dutchcharts.nl. Retrieved 18 September 2010. ^ Steffen Hung. "Alcazar – Don't You Want Me". finnishcharts.com. Retrieved 18 September 2010. ^ Steffen Hung. "Alcazar – Don't You Want Me". swedishcharts.com. Retrieved 18 September 2010. ^ Steffen Hung. "Alcazar – Don't You Want Me". hitparade.ch. Retrieved 18 September 2010. ^ "Rocky Votolato and Matt Pond PA cover The Human League". Retrieved 22 March 2013. This page was last edited on 24 April 2019, at 07:15 (UTC).